QGIS is a open-source and free-to-use desktop GUI application for viewing and processing geospatial imagery. The Q comes from the fact that it using the QT GUI framework, the GIS stands for geographic information systen. The official site for QGIS can be found at https://www.qgis.org/. 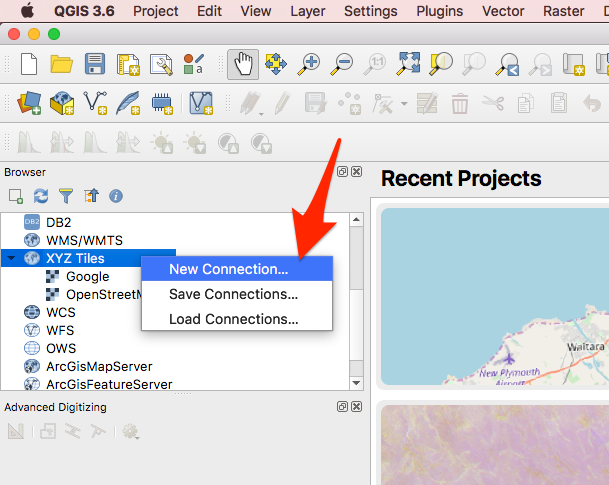 Since QGIS v2.18, you can add XYZ style tile servers as layers in QGIS (without having to rely on a plugin such as QuickMapServices). This allows you to easily view basemaps over the area of interest. They are loaded on demand and at the required resolution, allowing for faster response times and reprojections. 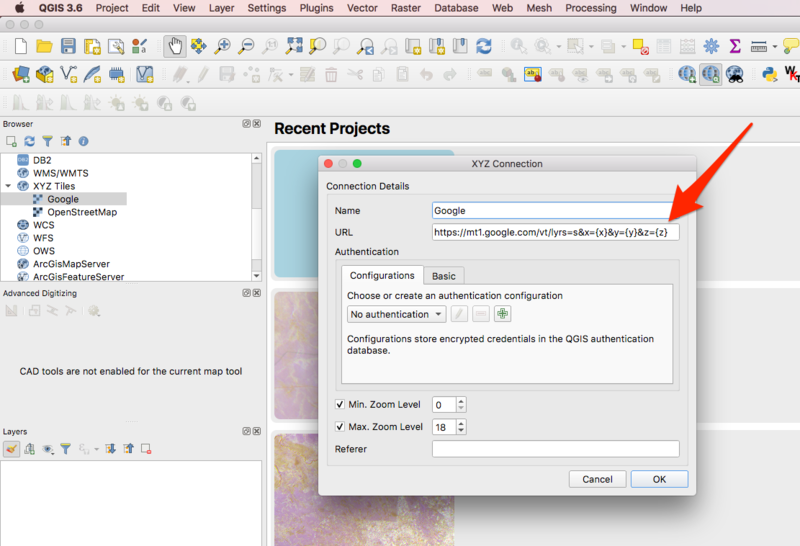 Firstly, right click on XYZ Tiles in the left-hand side Browser window in QGIS and then click on New Connection. Right-click on 'XYZ tiles' and then click on 'New Connection'. 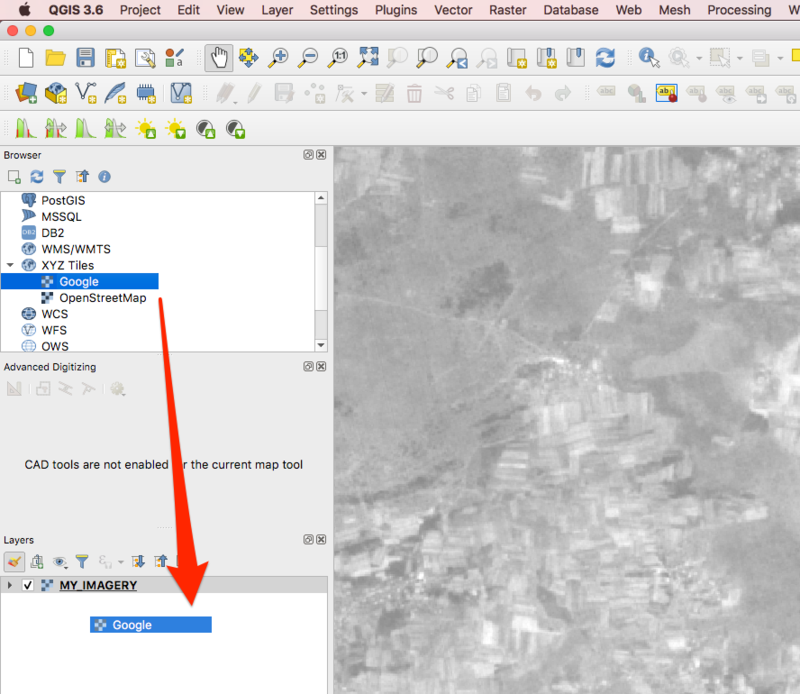 Adding the Google tile map service to QGIS. Dragging the tile server into the Layers pane to display the basemap imagery. replacing 3.6 with the version of QGIS that you have installed. For non-Windows platforms, QGIS requires a system installed version of Python to run. This can lead to version conflicts if you use different versions of Pythons for other projects. One way to get around this is to use Python enviroments (as provided by software such as pipenv and Anaconda).